Monday 8:15 a.m. - 4 p.m.
Tuesday 8:15 a.m. - 4 p.m.
Wednesday 8:15 a.m. - 4 p.m.
Thursday 8:15 a.m. - 4 p.m.
Friday 8:15 a.m. - 4 p.m. Outdoor Recreation is your one-stop rental shop for all your outdoor adventures, special events, home maintenance and repair. No matter the season, we have the equipment to get you out into the great outdoors. From skis and snowboards to campers and canoes, we have you covered. Important Note: No equipment will be issued or received after 15 minutes prior to close of business. Daily User Fees: The daily user fees rate will apply each day for equipment checked out on Monday, Tuesday and Wednesday. The daily user fee will also apply to equipment checked out on Thursday and returned the next day. One business day is defined as opening of business until 30 minutes prior to closing the following day. A minimum of a day’s user fee will be charged for all equipment leaving the equipment checkout center. Weekend User Fees: The weekend user fees will apply to all equipment checked out on Thursday or Friday and scheduled to be returned the following Monday or Tuesday. Weekly User Fees: Weekly user fees will apply to all equipment checked out on Thursday or Friday and scheduled to be returned on the second following Monday. Late Return User Fees: Patrons will be charged the daily user fee for each piece of equipment for each day that the equipment is returned late. Cleaning of Equipment: All equipment will be cleaned by the patron prior to returning it to the Equipment Checkout Center. Patrons will be charged a cleaning fee of one day’s user fee for all equipment returned unclean. Payment: All user fees will be paid by the patron at the time equipment is checked out. If applicable, patrons will pay late fees and/or cleaning fees upon return of equipment. Note: No equipment will be issued or received after 15 minutes prior to close of the posted closing time of the Equipment Checkout Center. Damaged or Lost Equipment: If equipment is lost or damaged, the patron may be held liable for the cost of repairs, including parts and labor. Repair of Equipment: The patron is not authorized to repair or have equipment repaired unless prior approval is granted by the equipment center manager. Equipment Involved in an Accident: If equipment is involved in an accident, the patron must obtain a accident report and contact the equipment checkout center within 24 hours. 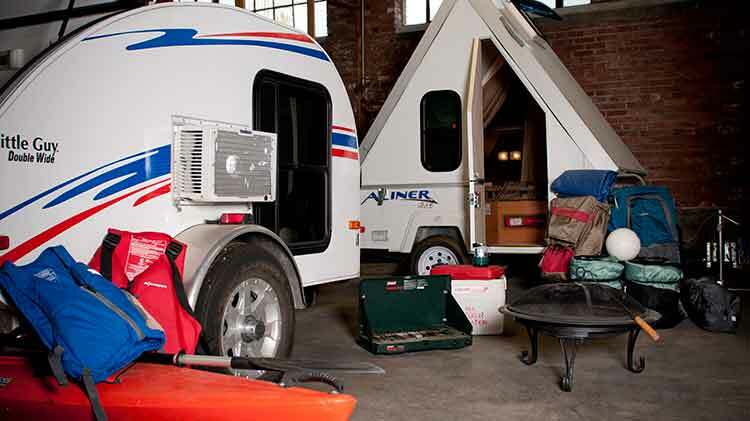 Cargo, Canoe and Camper Trailers: It is recommended that the patron contact their insurance company and verify that their auto insurance policy covers their liability in using a trailer from the Equipment Checkout Center. It is the patron’s responsibility to ensure that they have the required sized trailer ball, proper hitch ball height, proper tail light connection and that their tow vehicle is capable of towing the size trailer they will be checking out. It is recommended that patron’s bring their tow vehicle to the Equipment Checkout Center prior to the day of checking out a trailer to ensure that their hitch ball, hitch ball height and tail light connections work properly. For the patron’s safety, failure to have the proper size hitch ball, hitch ball height and/or working tail light connection will result in the denial of the patron’s use of a trailer from the Equipment Checkout Center. Illinois Department of Natural Resources (DNR) Training Requirement: Before renting one of our canoes or kayaks. You must show proof of completion of a Boater Safety Course or completion of the Illinois Department of Natural Resources online abbreviated safety course for canoes and kayaks. We will keep a copy on file here at Outdoor Recreation. This is required for everyone that will be in or using the canoe or kayak. This includes children who will be paddling or holding a paddle. You are required to have a copy in your possession when operating these canoes or kayaks. Take the free online abbreviated course at: http://rentalboatsafety.com/ (takes about 20 minutes) Click on the link for “Canoes & Kayaks”. View the videos and take the test. Print your certificate. Sign your certificate, write your date of birth and driver’s license number on your certificate. Outside vehicle storage is offered in a secured access controlled lot. Patrons can store campers, boats, and personally owned vehicles. Patrons must show proof of ownership, proof of current state registration, proof of current insurance and maintain a drip pain under their motor vehicle. Owners are liable for all liquids and greases that drip from their vehicle. Owners who fail to pay their monthly fee by the 5th working day of each month or abandon their vehicle will be liable for late fees and risk having their vehicles towed by an off-Island contractor. All outstanding fees, towing charges, and storage charges from the towing contractor are the responsibility of the owner. User fees are $25 per month for vehicles in the North Lot and $30 per month for vehicles in the South Lot. Units are physically located on RIA, off Hillman St. Sorry, no phone reservations are being accepted. You must sign a contract and pay rental fees in-person at Outdoor Rec, Bldg 333, to be guaranteed a unit. For questions, call Outdoor Recreation at +1 (309)782-8630. 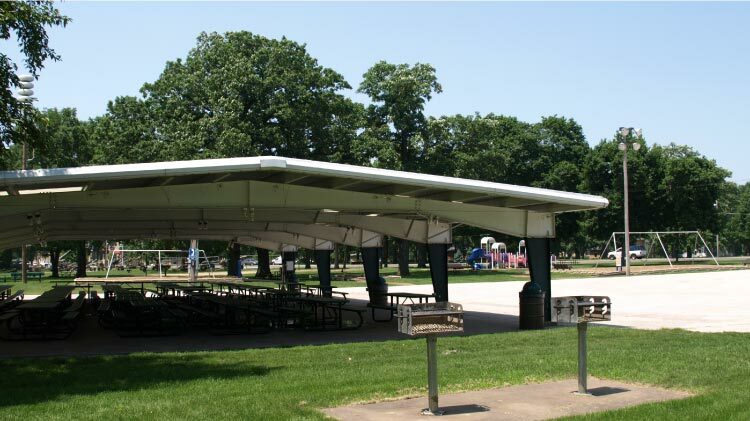 Need a place to hold your family reunion, graduation party, company picnic or other outdoor event? Check out the pavilion options below to see the best choice for your group. Additional Areas, Items and Info: Playground, baseball/softball field, volleyball and basketball courts. These are available on a first come, first serve basis. The Youth Complex and Sports Field can be rented out separately. Two permanent grills are available. Only designated grills will be used for cooking. No open fires are allowed unless approved by the RIA Fire Department. Additional Areas, Items and Info: Playground, baseball/softball and soccer fields and a volleyball court are available on a first come, first serve basis. Three permanent grills are available. Only designated grills will be used for cooking. No open fires are allowed unless approved by the RIA Fire Department. The Sports Fields/Courts can also be booked by calling the Fitness Center, +1 (309)782-5124. The Army and other DOD Service Departments operate camp grounds and RV sites throughout the U.S. on military installations and recreation areas. The Army provides these to promote outdoor recreation and travel opportunities to authorized users. The parks offer various amenities, from gravel pads to paved pads with water, electric, sewage disposal, cable TV and telephone access. Professional staffs or hosts are on hand to welcome and help you enjoy your stay. 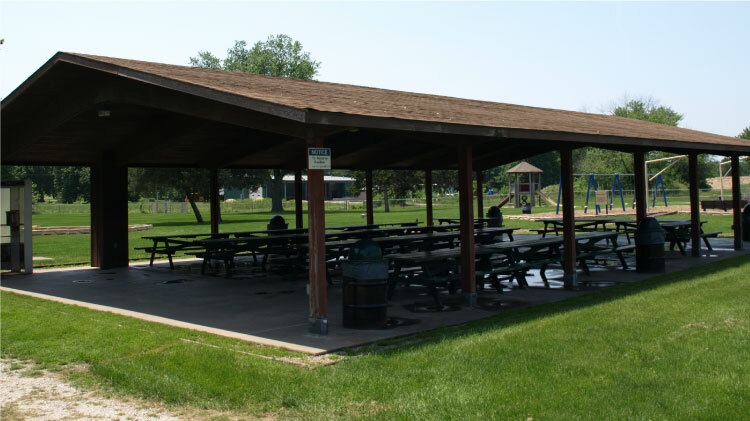 Many RV parks and campgrounds offer programs that enable you to take advantage of local Family and MWR activities and area attractions.